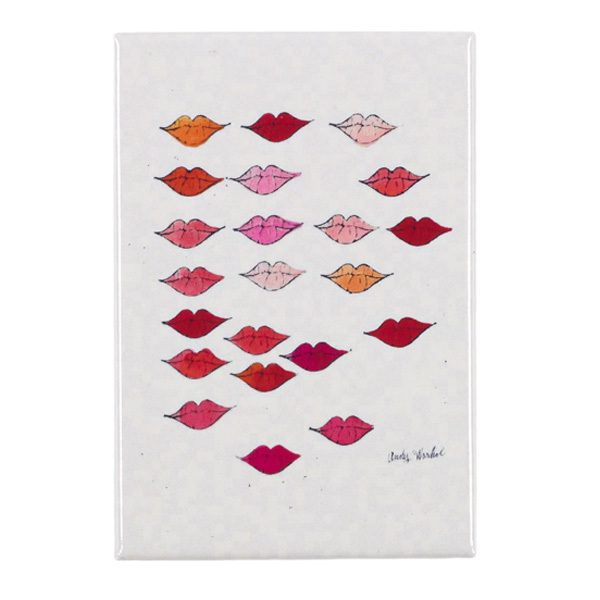 Fridge magnet featuring the iconic image Stamped Lips by Andy Warhol. Andy Warhol was born 'Andrew Warhola' to Slovakian immigrant parents living in Pittsburgh in America. Warhol's subject matter was taken from popular culture, in the form of advertising, comics, magazines and packaging. He was able to produce his works quickly by transferring images onto canvas or paper through photography and screenprinting, sometimes with the help of assistants. 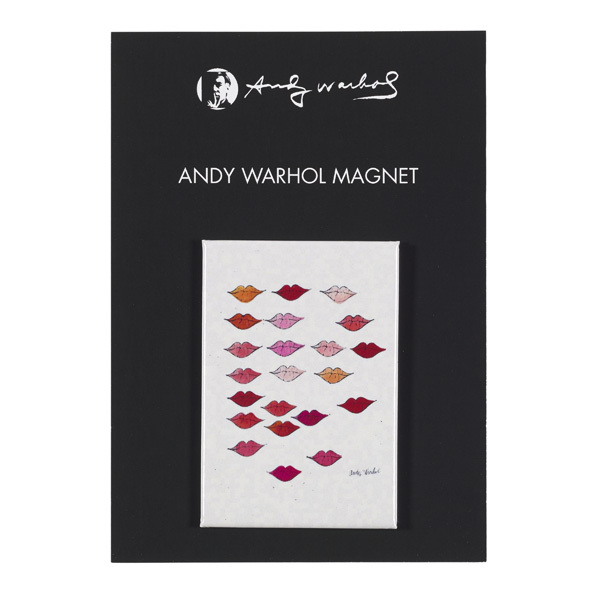 Warhol stated that he wanted to make works that showed no trace of having been produced by hand. His interest in mass production reflected the fast-developing consumer culture he recognised in America. His New York studio, 'The Factory,' became a popular meeting place for artists, drop-outs, celebrities and bands. Canvas tote bag featuring Andy Warhol's iconic Banana, which famously featured on the cover of the album The Velvet Underground and Nico.